When you need that quick, cheap substitute for the Eureka RR Vacuum Cleaner Bags, don't try to jury-rig a plastic grocery bag just to save time and money; the Eureka Generic Style RR Vacuum Cleaner bags are less expensive than their genuine Style RR counterparts but still possess the high quality design and durability that Eureka Vacuum Cleaner parts and accessories have maintained throughout the years! Plus, a grocery bag in your vacuum cleaner will probably end disastrously. 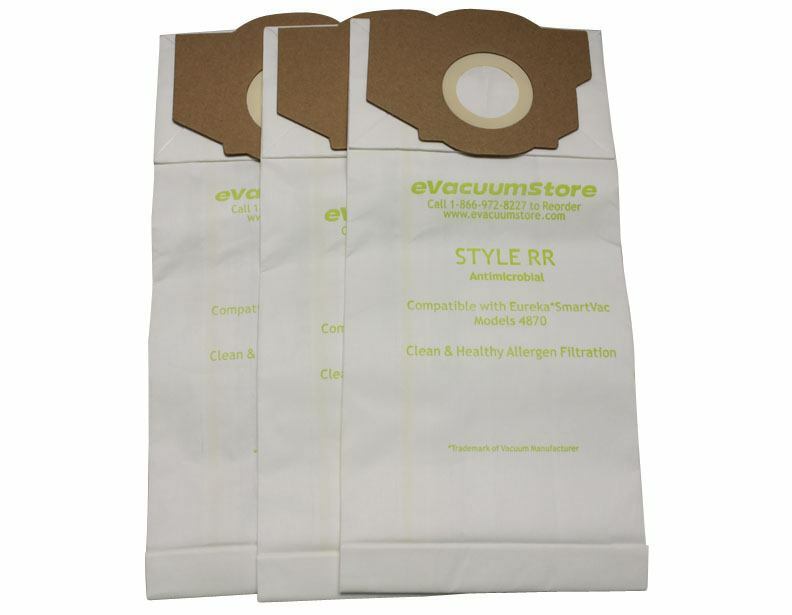 3 Pack generic vacuum cleaner bags.